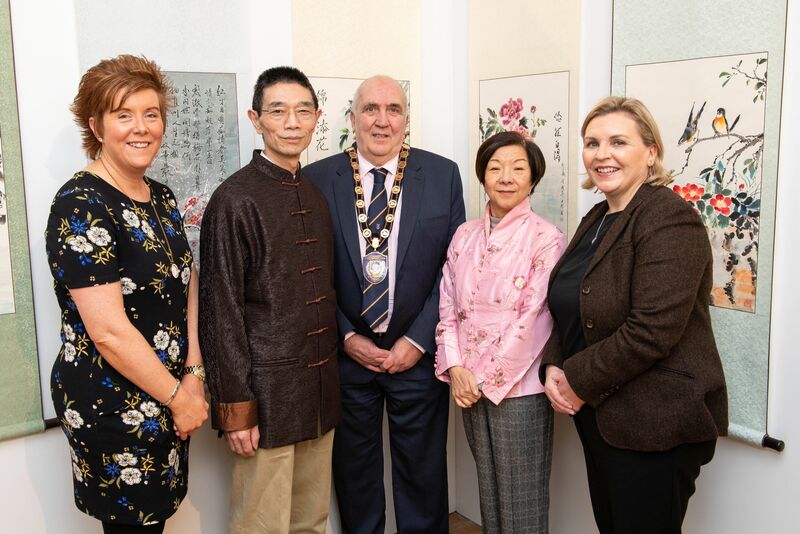 “A Brush with Nature”, an exhibition of contemporary Chinese paintings was officially opened by the Chairman of Fermanagh and Omagh District Council, Councillor Howard Thornton at Fermanagh County Museum, Enniskillen Castle on Saturday 9 February 2019. 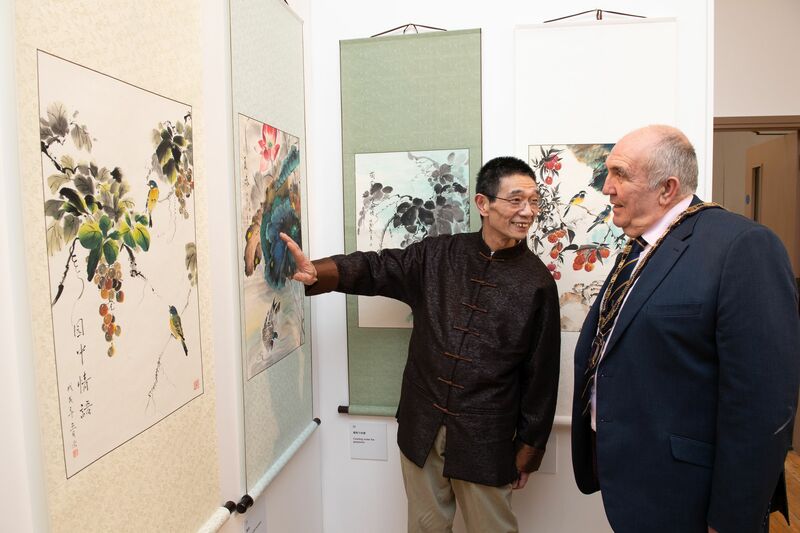 The exhibition features a collection of Chinese watercolours by artist, Rong-Gen Yin. Originally from Shanghai, Rong-Gen Yin began painting in the traditional Chinese manner in the 1970s. 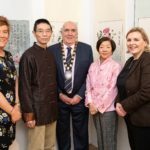 He moved to Northern Ireland in 2003 and has continued to paint and teach traditional Chinese painting techniques since then. 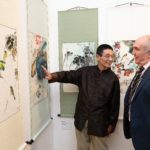 Rong-Gen’s work embraces the two main techniques of Chinese painting – Gongbi, where intricate brushstrokes form detailed coloured landscapes, which can include narrative themes and Xieyi, which is much looser using bold brushstrokes and watercolour wash. Traditional Chinese painting uses many of the same techniques as calligraphy, where gesture and control of the brush form part of the artistic method. Since earliest times nature, in particular the landscape and the creatures that inhabit it, has been the main source of inspiration for Chinese artists. 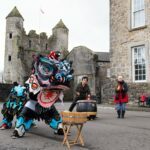 As part of the launch, guests were treated to a traditional Lion Dance and had the opportunity to avail of workshops in Chinese calligraphy and origami as well as authentic Chinese cuisine. This was made possible with support from The National Lottery Heritage Fund and the Council’s Good Relations service. This exhibition continues at Fermanagh County Museum, Enniskillen Castle until 30 March 2019. Normal opening times and admission rates to the Museum apply. 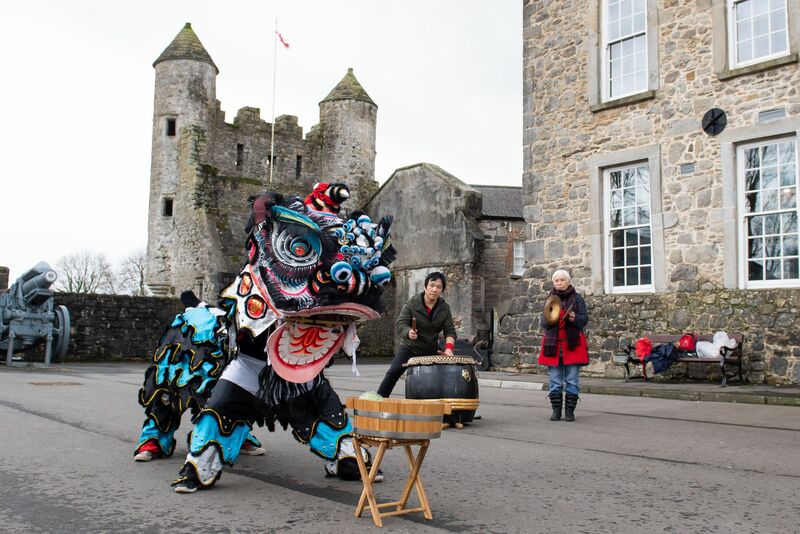 For further information please visit www.enniskillencastle.co.uk or telephone 028 6632 5000.